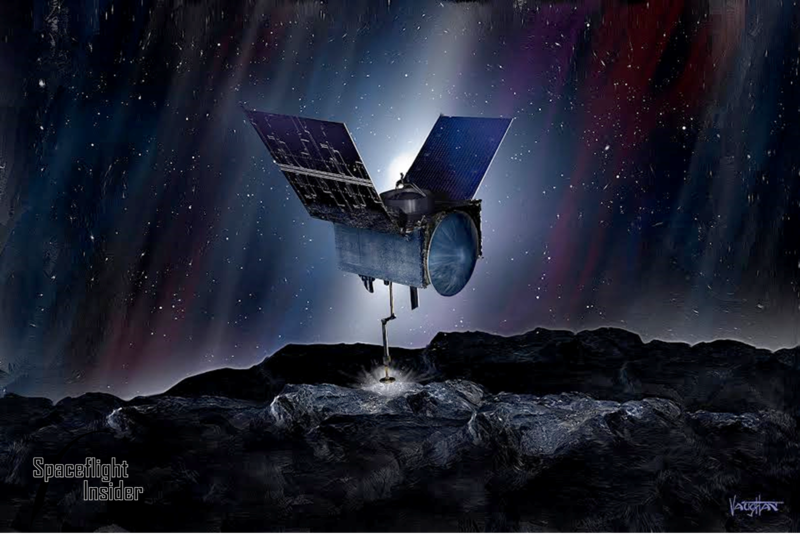 Launched on Sept. 8, 2016, atop an Atlas V rocket, the Origins, Spectral Interpretation, Resource Identification, Security, Regolith Explorer (OSIRIS-REx) spacecraft is on track for its rendezvous with asteroid Bennu in August 2018. Besides thoroughly studying Bennu, the mission has an ambitious goal of returning a pristine sample of this small body to Earth in 2023 for detailed analysis. In the second half of September, the mission team was busy checking the spacecraft’s instruments. The set of tests started on Sept. 19 with OCAMS when it was powered on, allowing the controllers to conduct a test sequence with no issues. Next, the OSIRIS-REx Laser Altimeter (OLA) fired its laser and all telemetry received from this instrument was obtained as expected. 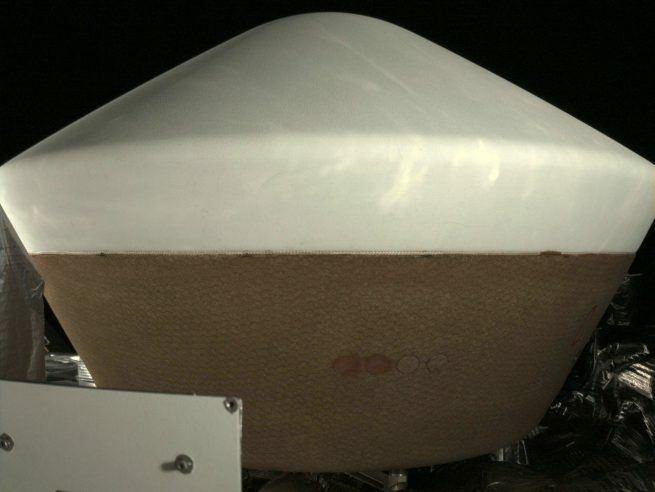 On Sept. 20, data from the OSIRIS-REx Visible and Infrared Spectrometer (OVIRS) and the OSIRIS-REx Thermal Emissions Spectrometer (OTES) acquired during the checkout showed those instruments were healthy. Next, the Regolith X-ray Imaging Spectrometer (REXIS) passed its functional test with no problems. Finally, on Sept. 22, the Touch and Go Camera System (TAGCAMS) navigational camera was powered on and operated as expected. With all the instruments working as expected, OSIRIS-REx was ready for its crucial first Trajectory Correction Maneuver (TCM-1) scheduled for Oct. 7. The 12-second long maneuver slightly adjusted the spacecraft’s trajectory toward Bennu. The velocity of the spacecraft increased by about 1.1 mph (50 centimeters per second). It used about 18 ounces (0.5 kilograms) of fuel. The maneuver in December will be used to fire the spacecraft’s Main Engine thrusters to target the probe for its Earth Gravity Assist, scheduled for Sept. 22, 2017. This fly-by of Earth will provide OSIRIS-REx an additional boost to increase its orbital inclination and sling it into space for a rendezvous with Bennu. “If things continue the way they have been going since launch, it should be smooth sailing to Bennu,” Enos said.